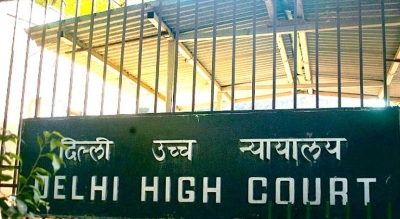 New Delhi, Sep 20 (IANS) The Delhi High Court on Wednesday issued notice to Delhi University Students’ Union (DUSU) President Rocky Tuseed and the University on a plea alleging that he concealed various facts while contesting election. Justice Indermeet Kaur asked Tuseed to file a reply on the plea by Rajat Chaudhary, ABVP’s candidate for the President’s post, and listed the matter for November 15. Chaudhary told the court that as per the guidelines of the Lyngdoh Committee, the candidate shall not have any previous criminal record, nor have been tried or convicted of any criminal offence and shall not have been subject to any disciplinary action by the university authorities. But a First Information Report has been lodged against Tuseed under various sections dealing with attempt to murder, trespass and causing hurt at Rajouri Garden in west Delhi, Chaudhary said in his plea. Currently, he is out on bail after remaining in judicial custody from August 28, 2014, to September 15, 2014, he added. He also said that there was “deliberate suppression and misrepresentation of facts and narration of false facts by the petitioner (Tuseed) in the proceedings”. “Various illegal and unlawful practices were adopted by the petitioner (Tuseed) to win the elections by hook or crook and it has ultimately caused irreparable loss and injury to the applicant (Chaudhary),” the plea alleged. The plea said Tuseed had done fraud with the education system in order to come within the bracket of eligible candidates for the election. The plea alleged that he has “crossed the limits of gross misconducts”. Chaudhary alleged that Tusheed took admission in MA Buddhist Studies in academic session 2016-17 but suffered from backlog. Later, he moved an application to the head of department that he wants to withdraw his admission. On the basis of the application, DU cancelled his admission on August 16. But in a few hours, Tuseed filled another admission form in the same course with name Rocky Tushir. He took admission in the same course with a differently spelt name to “cheat the complete software of university in a fraudulent manner”, the plea alleged. To overcome the barriers of election procedure, Tuseed submitted an undertaking to poll panel that he has no academic arrears, said Chaudhary who has filed an intervening application in a matter where Tuseed had challenged rejection of his nomination. On September 8, the court in an interim order allowed Congress-affiliated National Students’ Union of India’s Tuseed to contest election after he challenged the September 6 decision by the DU’s Chief Election Officer’s (CEO) rejecting his nomination due to a disciplinary case against him. In support of its decision, the officer had cited an incident of disciplinary action against him at Shivaji College which had proscribed him from entering the college in 2014. Tuseed, who polled 16,299 votes, defeated Rashtriya Swayamsevak Sangh affiliated ABVP’s Rajat Chaudhary by 1,590 votes.